“Wow. Wow. 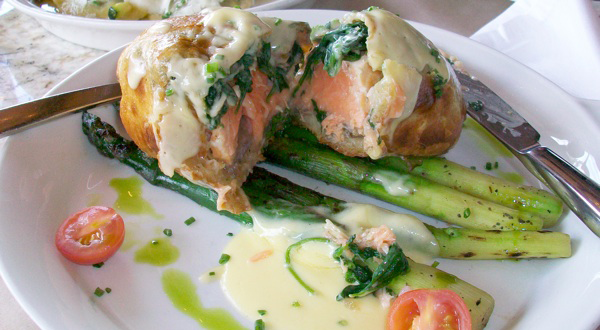 Wow.” Those were the first three words that came out of my mouth after just one bite of the new Salmon Wellington entrée just added to the menu at Great Maple in Fashion Island.